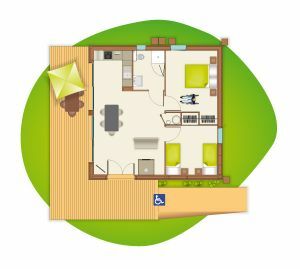 The Menet holiday village was designed in accordance with all of the very high energy performance (THPE) and high environmental quality criteria to offer you holidays as close to nature as possible. WE have thought of everything for your calm, well-being and comfort. 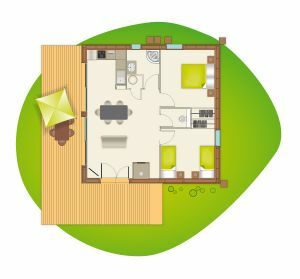 The chalets have two bedrooms, an equipped kitchen, a bathroom with shower and a sitting room with access to the terrace. 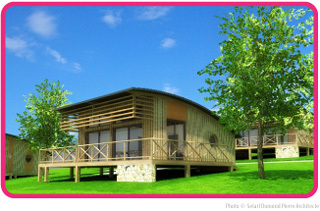 + a 160cm bed (140cm for the PRM chalets), two 90cm beds + a hideaway bed and a convertible sofa in the sitting room.